Good afternoon, dear readers, and happy Friday! This week has just flown by so quickly! I've been busy working on craft projects with my son for Father's Day this weekend, and I can't wait for the hubby to see what we've been up to! 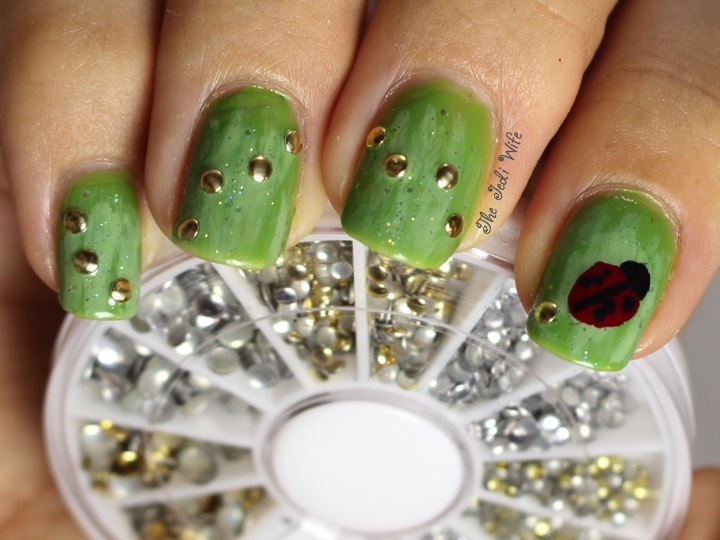 While I have been in a crafty mood, I thought I should so some fun nail art as well. 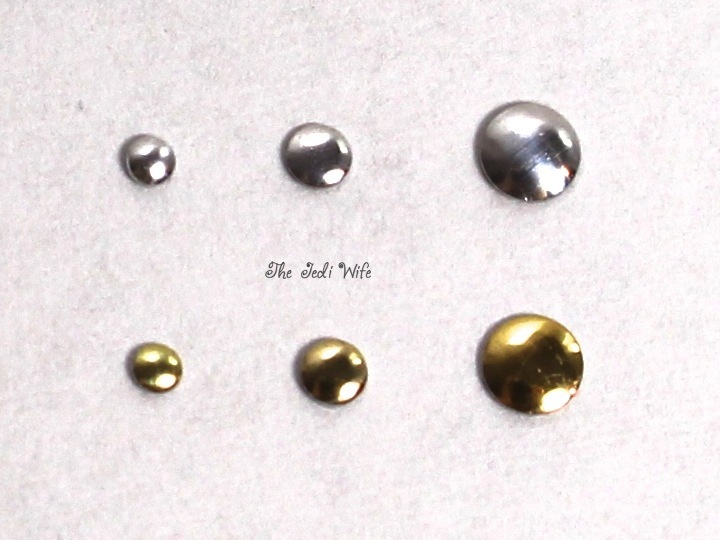 Born Pretty Store sent me this wheel of silver and gold smooth flattened studs to review. 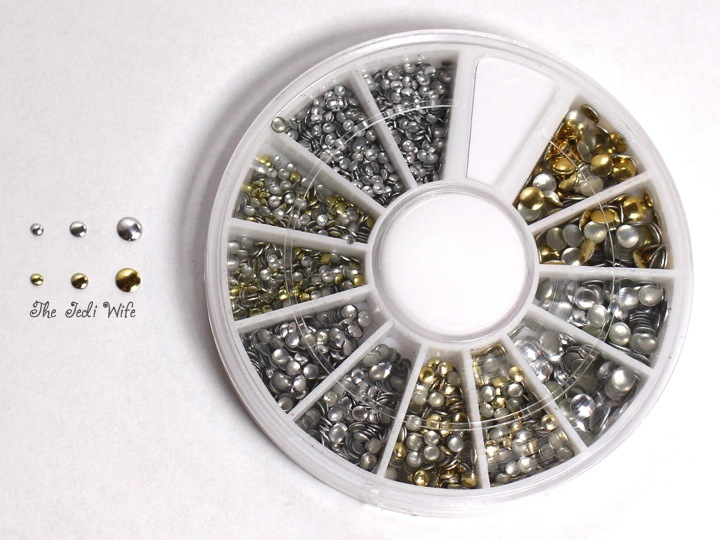 The studs come in three sizes, with each size available in both silver and gold. I wanted to do something a little whimsical with these studs, and I used the medium-sized gold studs for my nail art below. The traveling ladybug! 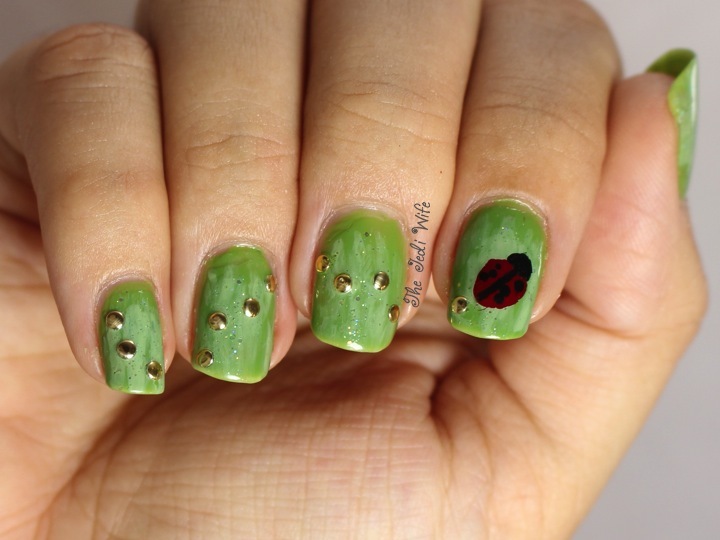 I love ladybugs, and I even have something similar to my nail art tattooed on my foot. The polish colours are Precision Nail Lacquer in Honey Dew, Sinful Colors Olympia, Pure Ice Sea Glass, Zoya Rekha, and Zoya Raven. These studs were easy to apply with tweezers, and they were flat enough that I didn't find them to be distracting for long term wear like I do with larger pieces. They also came off very easily with an acetone-based nail polish remover when I was ready to change my manicure. I definitely have a lot of other ideas with these now! These studs can be purchased here. Don't forget to use discount code QWL91 to save 10% off your purchase. While you are at the site, you should check out Born Pretty Store for your other nail art needs; there is certainly a lot to choose from! 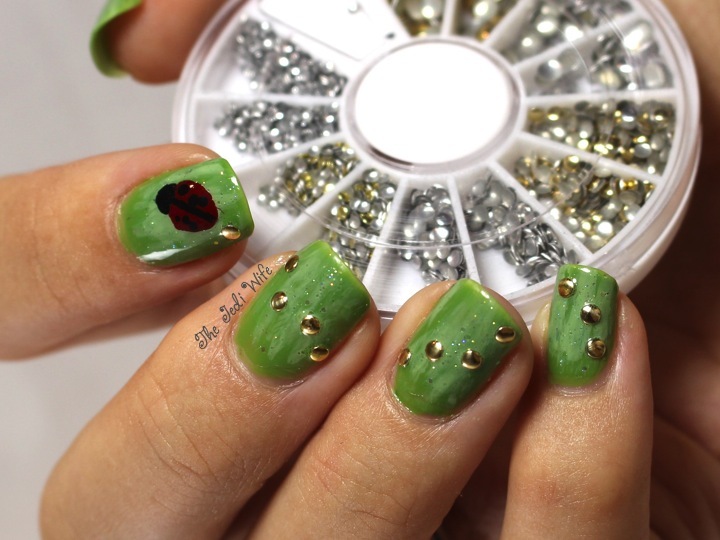 I hope you enjoyed today's post and nail art! Until next time, dear readers, have a wonderful day!